* A beautiful stone chapel with gallery & unique bell tower seating 240 guests. 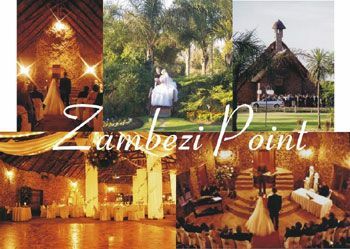 * Zambezi Hall: stunning thatched venue seating up to 300 guests (dance floor); complimented with an evergreen garden with fountain & gazebo for outdoor weddings. * Boma: magnificent thatched venue with bon-fire seating 250 (dance floor); situated in an indigenous piece of bushveld combining the outdoor experience with the splendour of the African bush. * We offer a variety of menus to choose from. * Our friendly & professional service will add to your fairy tale experience.